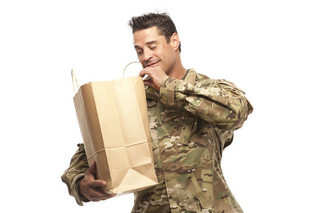 For extraordinary savings and discount opportunities at exchange stores, you can rely on the #1 military shopper website – MyMilitarySavings.com. We’ve made it our mission to help all members of the Armed Forces and their families save as much money as possible, and we’ve developed partnerships with manufacturers and retailers to help you stretch your dollar at any exchange store located around the country and the world. You’ll find exceptional savings at any military exchange store – the AAFES, Navy Exchange, Marine Exchange, and Coast Guard Exchange – on featured items of all types, from shoes and clothing to cosmetics and skincare to electronics and housewares and everything in between. On our “MyExchange” page, you’ll find direct links to each exchange store for discount opportunities on in-store and online purchases. Our “Hot Deals” page features amazing savings on family favorites like BIC®, Hershey’s, Coca-Cola, and many others. In addition to offering savings at the exchange stores, you’ll also find tools to make saving money at the commissary quick and easy. You’ll find quick access to the Defense Commissary Agency (DeCA) website where you can clip and download hundreds of coupons onto your Commissary Rewards Card. We even offer a digital shopping tool, where you can add items to a shopping list to print out at home or access on your mobile device. To learn more about discount opportunities at the exchange stores that will help you see significant savings, join MyMilitarySavings.com today. Membership is free and sign-up is easy.